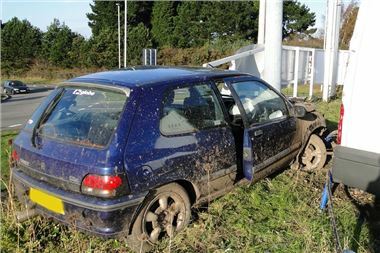 'Accident Management' and 'Credit Hire' are the means by which organisations seek to profit from car crashes by encouraging the non 'at fault' parties to make claims for injuries that may or may not exist and for the temporary replacement of their damaged car with a 'like for like' vehicle on 'credit hire', often at an excessive rate. This has led to extended periods of repair and car hire charges inflicted on the 'at fault' party's insurer of as much as £70,000. The amount very frequenty exceeds the cost of repairing the damaged car. In addition, hardly a day goes by without almost everyone in the country receiving a phone call, text message or email offering to obtain £3,000 'injury compensation' for non existent injuries. Where the othert party's insurer refuses to pay, sometimes the cost of the car hired 'on credit' come back onto the claimant. Where they are absorbed by the other party's insurer it inevitably puts up the insurers costs and is reflected in increased car insurance premiums generally. "The CHO understands this move from the OFT, given the complexity of insurer behaviour in the market for the supply of motor insurance and related goods and services. However, we continue to have serious concerns as to the long-term impact it may have on the motoring consumer and their right to mobility after an accident that was not their fault. provide replacement vehicles and not-at fault drivers will be forced to 'make do' and catch the bus. In each scenario the consumer will lose out, and hundreds of years of case law, establishing the consumer's rights in the event of an accident, will be over-turned. "We urge the CC to look for solutions in existing structures, most obviously the Association of British Insurers' General Terms of Agreement. This is an effective mechanism, supported by both credit hire companies and insurers, whereby the costs of a replacement vehicle are minimised and the interests and legal rights of the UK consumer are protected. "To ensure that these consumer rights remain at the heart of this debate, it is vital that credit hire companies and insurers continue to work with one another and with the CC. The CHO looks forward to further constructive engagement with interested parties over the next two years." I hope that is not one of our cars ! It's nice to see the new found concern for the consumer shown by the CHO. Pity they did not share it when consumers were being taken for a ride by Claims Management Companies.